15 ASC Log no. 999 At 22:52 ASSAR was put on standby at the request of the police to search for vulnerable person in the Littleton-upon-Severn area. ASSAR was called out at 23:46 to work with local coastguards in the search. As search teams were deploying a possible sighting was reported. ASSAR members quickly located the missing person and passed him safely to the police. The team were stood down at 01:35. 14 ASC Log no. 413 At 12:33 ASSARs technical rescue team were put on standby following the discovery of a casualty on a ledge in Cheddar Gorge. A local member accessed the scene with other emergency services but the casualty was found to be deceased. ASSAR remained on standby until 15:29. 13 ASC Log No. 987 ASSARs technical rescue specialists were called out at 20:33 to Clifton Suspension Bridge to assist other emergency services with a vulnerable person. ASSAR members assisted paramedics and Fire & Rescue staff on the cliff face to move the person to a safe location. The team was stood down at 23:29. 12 ASC Log no. 616 The team was put on standby at 18.53 following a request from the police as they were concerned for the welfare of a vulnerable missing person in the Peasedown St. John area near Bath. The team were called out at 19.41 but then stood down at 20.48 as teams as the missing person was located in the centre of Bath. 11 ASC Log no. 534 1/3 – 2/3 The police contacted ASSAR at 19.44 regarding assistance with vulnerable members of the public due to the weather conditions and to assist other emergency services with welfare checks on stranded motorists. A red weather warning had been issued foe the area. Four of ASSARs assets were deployed to a variety of incidents around our area and dealt with other incidents as they came across them. A member of ASSAR also joined the incident planning team in police HQ to help coordinate the volunteer search and rescue response. The operational response from ASSAR was stood down at 01.45 while the member remained in the planning team. 10 ASC Log no. 362 ASSARs support was requested by the police regarding a suicidal male in woodland near Bath. The team was put on standby at 14.12 and called out at 14.59. The team was stood down en route at 15.20 as police had located the deceased male. 09 ASC Log no. 20180224-0498 24/2 – 25/2 At 12.00 the police contacted ASSAR with growing concerns regarding a missing person, Dean Tate in Highbridge. The team was called out at 12.22. Search specialists were deployed to do water margin and land searches along with other emergency services. ASSAR was stood down overnight at 19.33 with a request to continue the next day. ASSAR recommenced the search, joined by Exmoor SRT, focusing on different rural areas the next day at 10.00 and stood down at 17.51 pending further police information. 08 ASC Log no. 493 At 15.02 ASSARs technical rescue team was called out to Avon Gorge. Team members in the vicinity arrived quickly, given the location and circumstances of the deceased person no further ASSAR resources were deemed necessary and the team stood down at 15.26 while other emergency services dealt with the incident. 07 ASC Log no. 489 (non-emergency) A missing dog had been located by owners in Cheddar Gorge. Following discussions between ASSAR and the police there was concerns that people would put themselves at risk trying to access the dog’s location. A non- emergency log was provided to ASSAR to access the dog. Sadly the dog had not survived the fall but it was removed from the cliffs reunited with its owners by team members. 06 ASC Log no. 699 The police contacted ASSAR at 16.27 following concerns for the safety of two people who were trying to access a dog that had been missing and now located in Cheddar Gorge. Members of the ASSAR technical rescue team helped the individuals and the missing German Shepherd Grace to safety. The team was stood down at 18.11. 04 ASC Log no. 361 At 15.14 ASSAR was contacted the police with a request to assist in an incident involving a deceased climber in the Avon Gorge. Due to the nature of the request only a limited response from ASSAR was required at the scene. The original standby was sent at 15.30 with the team stood down at 17.13. 03 ASC log no. 118829/1 ASSAR was put on standby at 01.56 following a request from the police concerning a vulnerable missing female near Yeovil. 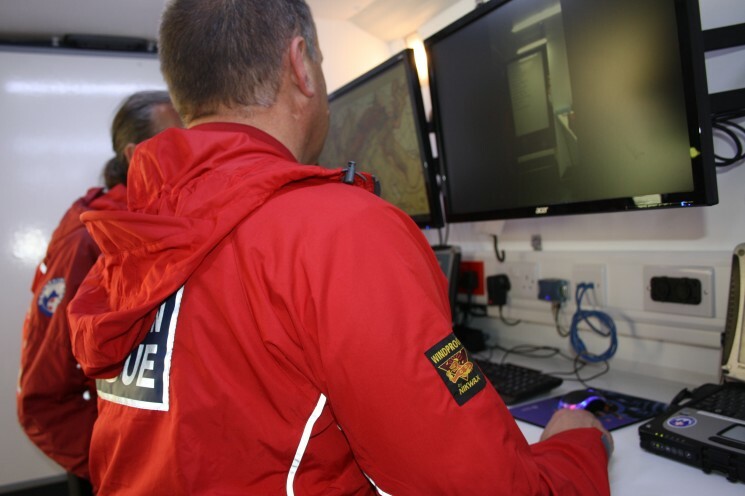 During search planning with the police nad ASSAR incident controllers the missing person returned to a safe place and ASSAR was stood down at 02.25. 02 ASC Log no. 788 ASSAR was put on standby at 20.42 to assist police searching for a missing elderly male in the Emersons Green area of Bristol. The team were called out at 21.02. At 21.19 the team were stood down as the male had been located safe and well. 01 ASC Log no. 098 ASSARs Incident Controllers were contacted by the police regarding a male entering a river east of Bath. Discussions took place but no immediate action was required pending further police investigations. 24 ASC Log no. 1044 ASSAR was contacted by the police concerning a cliff search in the Avon Gorge for a missing person. ASSARs Tech team was called out at 20.56 . It was decided at 21.25 that no further resources were required and the team was stood down.